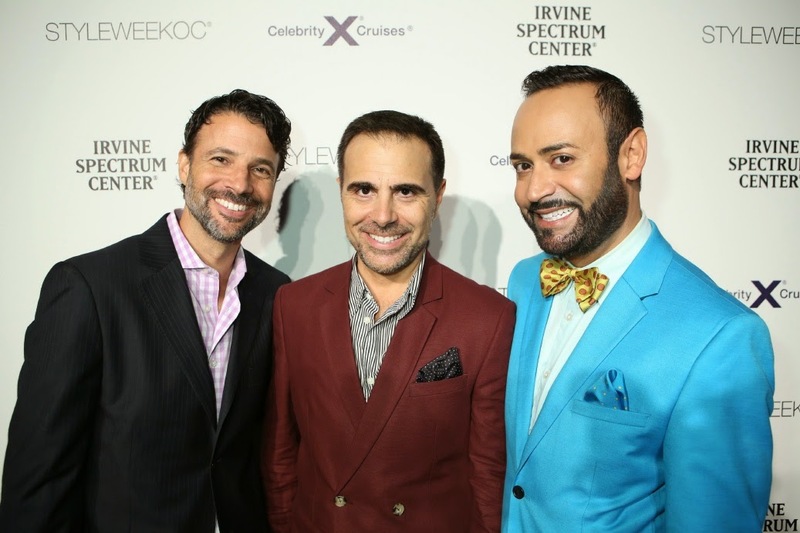 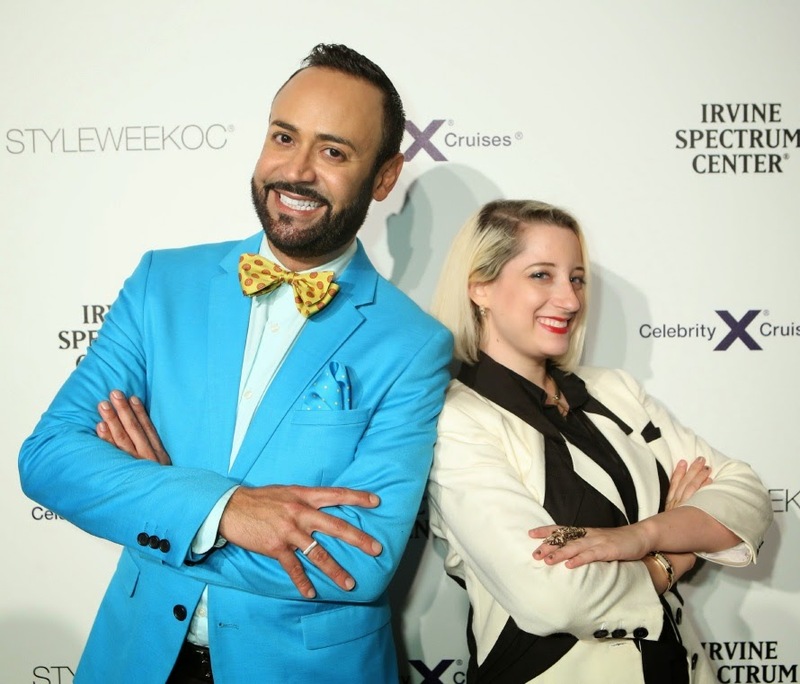 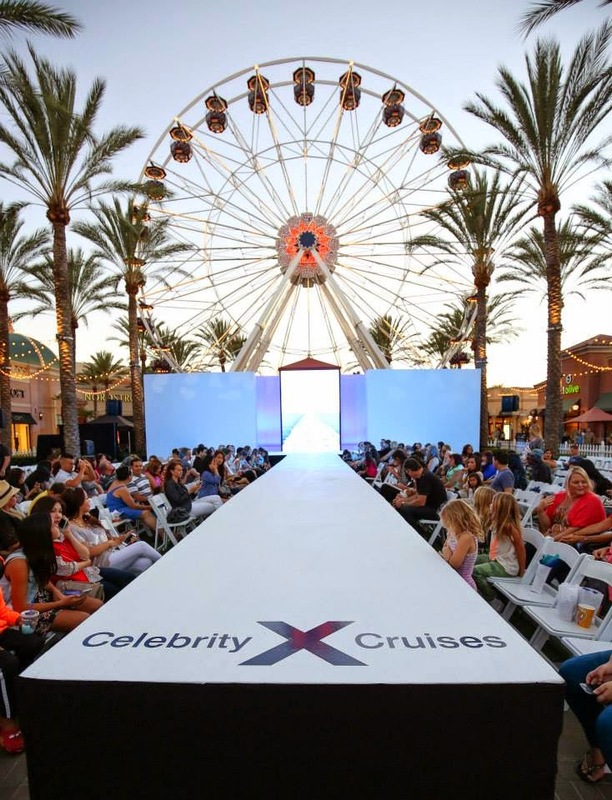 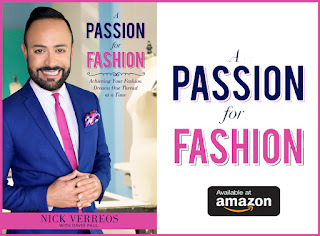 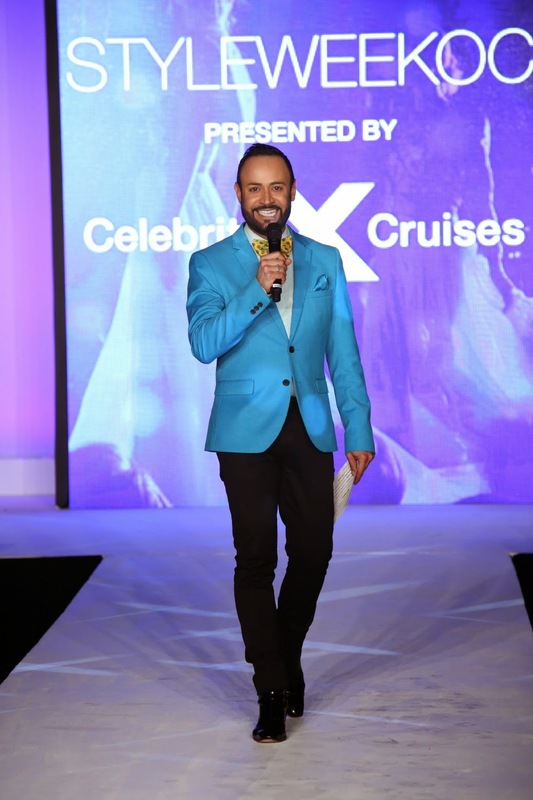 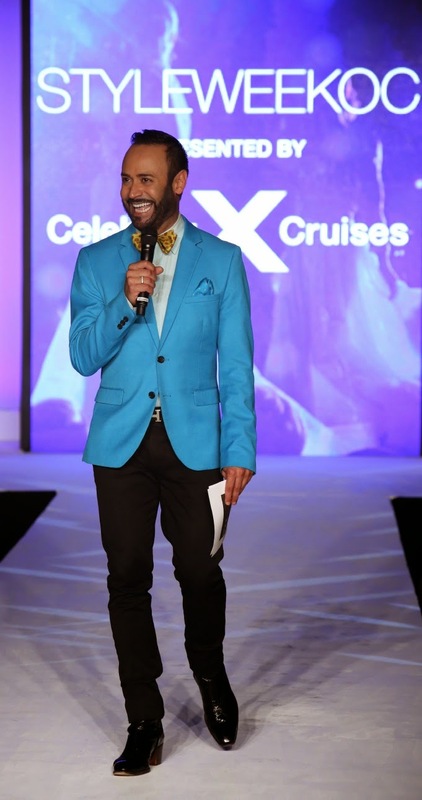 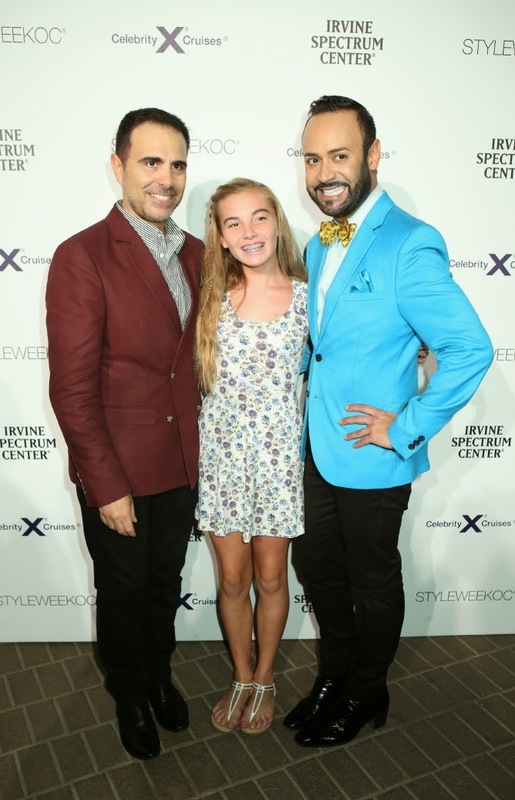 Home » Amanda Fields Bennett » Celebrity Cruises Design Competition » Irvine Spectrum Center » Nick Appearances » Nick Hosts » Nick Verreos » Spectrum Collection » Style Week OC 2014 » NICK APPEARANCES.....STYLE WEEK OC 2014 Finale Night RECAP! 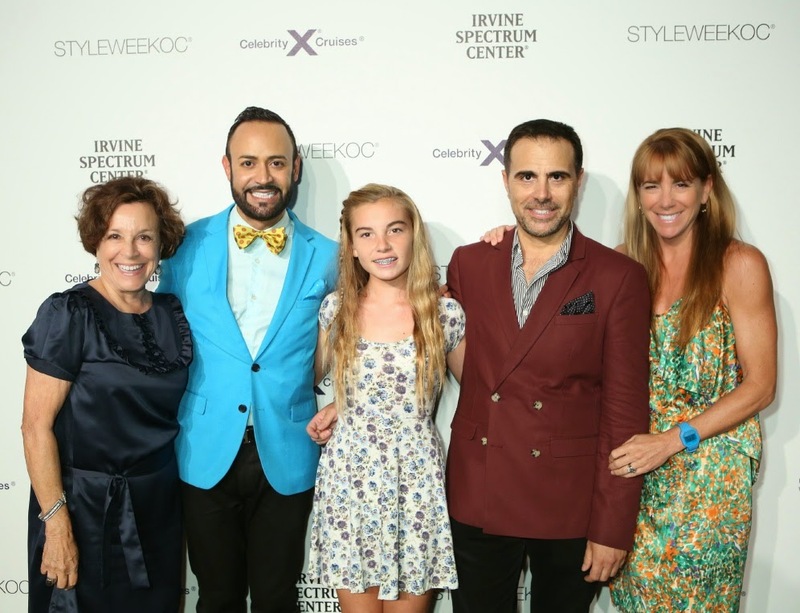 NICK APPEARANCES.....STYLE WEEK OC 2014 Finale Night RECAP! 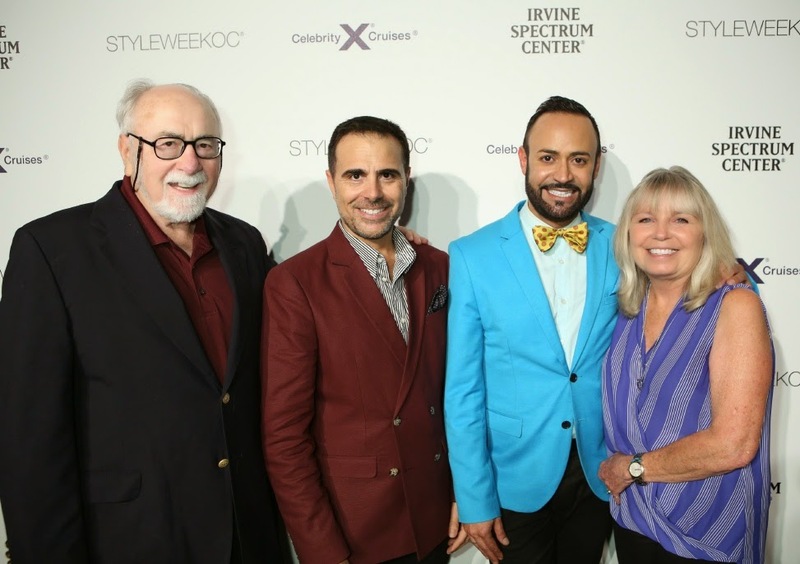 Two Saturday's ago, I had the pleasure--and honor--of debuting, along with my co-designer and partner David Paul--our latest NIKOLAKI Spring 2015 Collection at STYLE WEEK OC 2014 at the Irvine Spectrum Center. 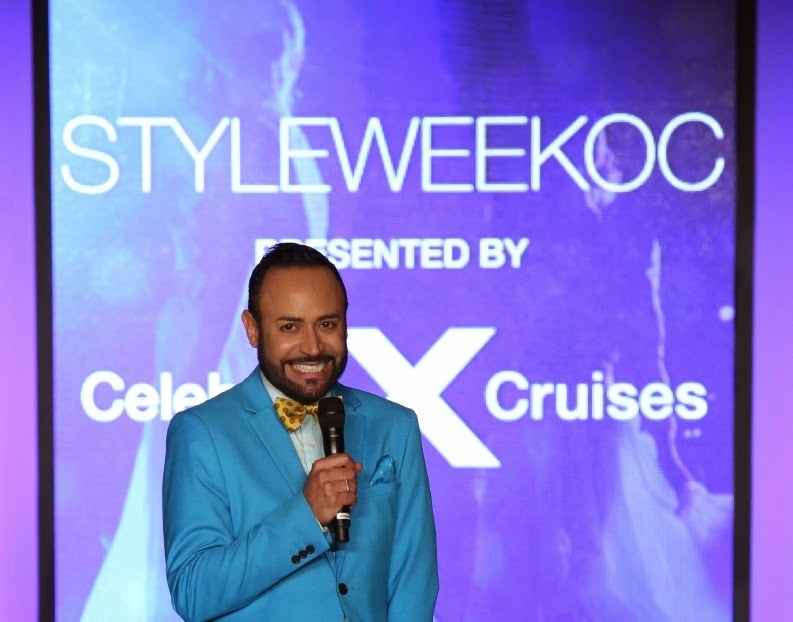 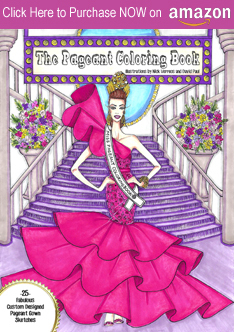 You can check out my blog recap of that HERE. 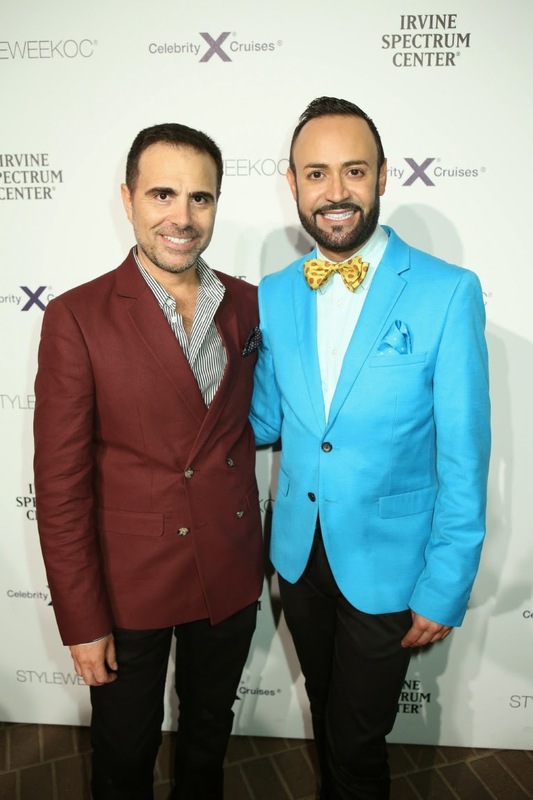 For the last six years, I've also been honored to host STYLE WEEK OC events and this year, I did the same: I hosted Finale Night which included my NIKOLAKI fashion show, as well as the Spectrum Collection and the Celebrity Cruises Design Competition. 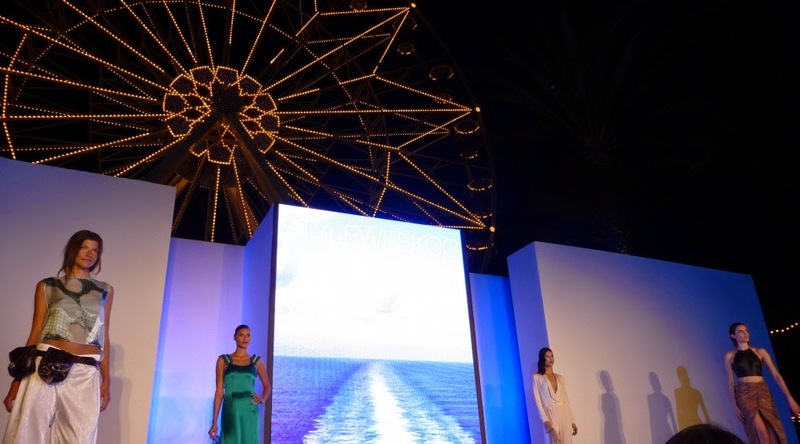 I had such an incredible time hosting the STYLE WEEK OC events once again--the weather was perfect; the location--under the Giant Ferris Wheel at the Irvine Spectrum Center--was gorgeous; and the full-house audience was THE BEST! 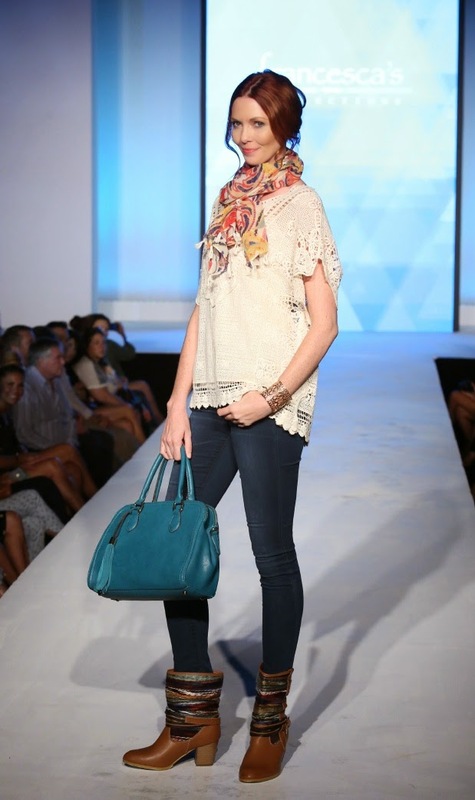 Oh, and yes, the models and fashions were great as well!! 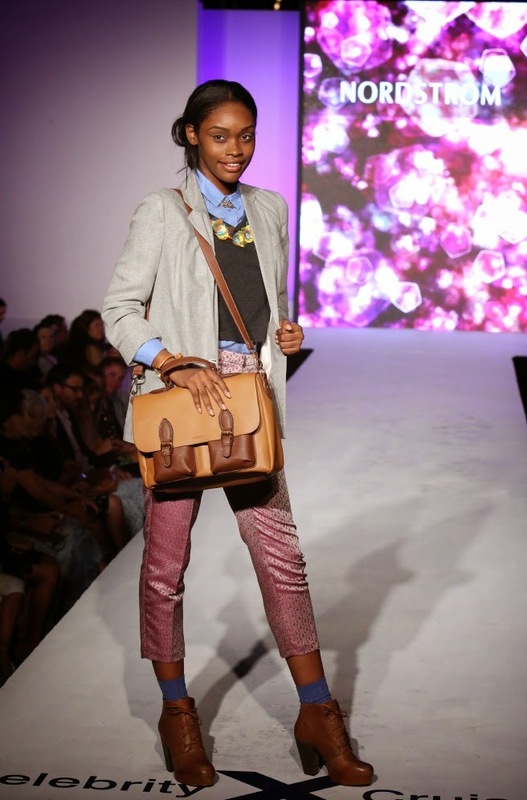 Galapagos Islands! 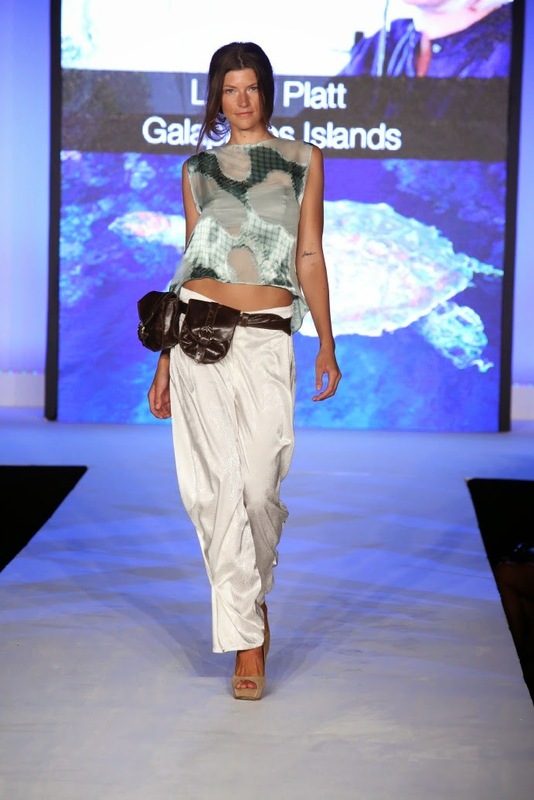 This look was fabulous in that it was very Chic-traveler, hipster-influenced; the top reminded one of the waters and the Galapagos Tortoises, and I also loved that the designer thought of the Charles Darwin/Explorer history of the islands and made that great "fanny pack". 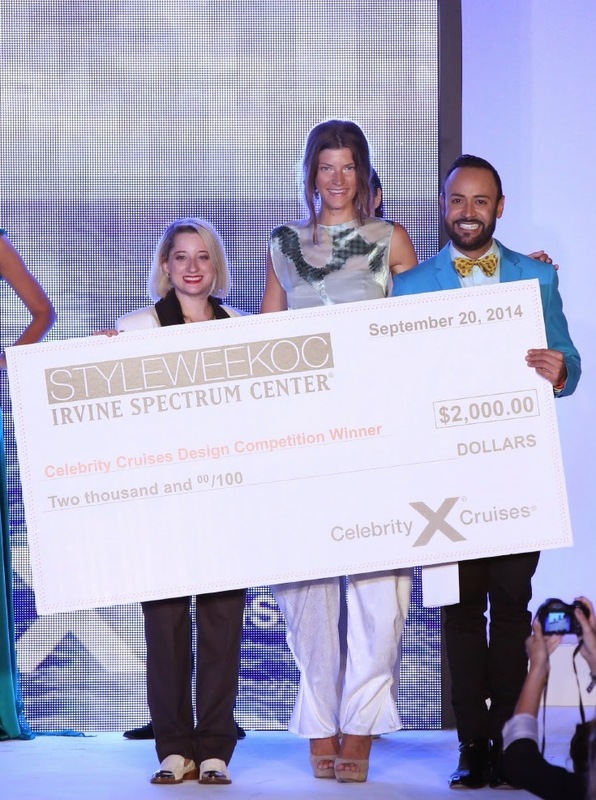 Leetal won the $2,000 prize! 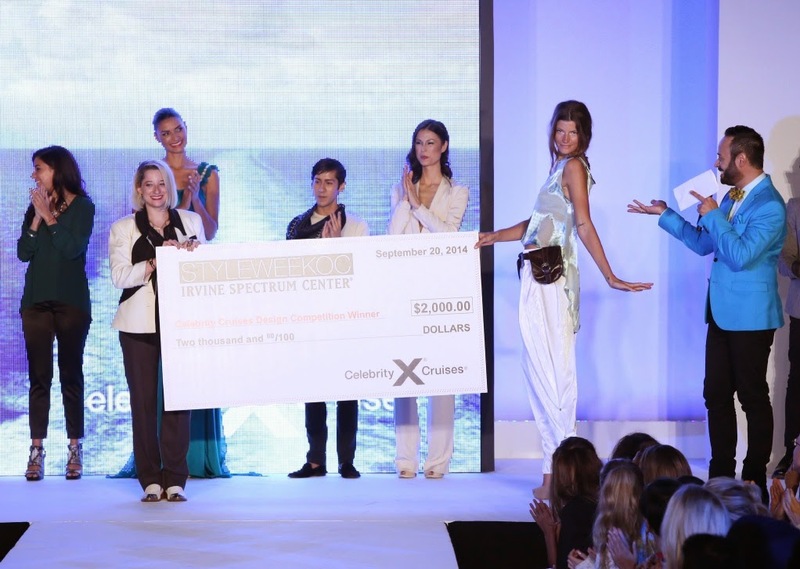 (in the form of a SUPERSIZED check!). 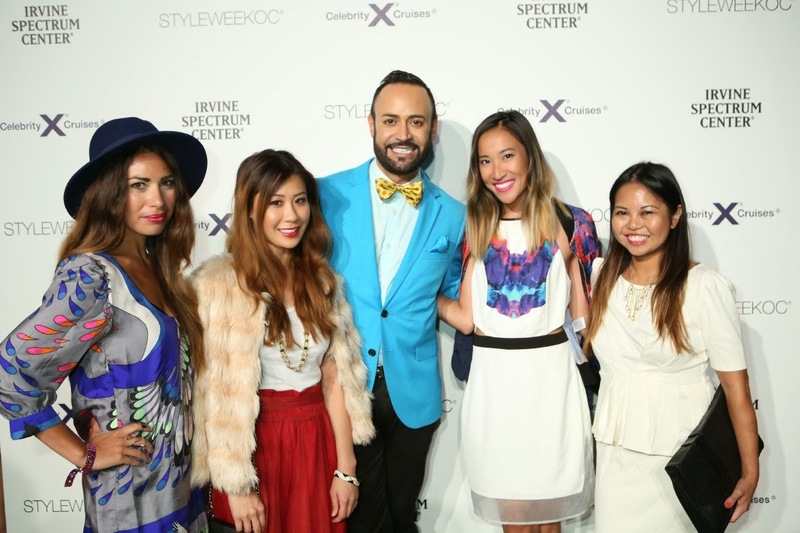 Blogger Love: Nick Verreos with various Bloggers who attended STYLE WEEK OC 2014 Finale Night, including one of my faves--Amanda Nguyen of feastfashionfaves.com (second from right)--Check out her FABULOUS blog on my NIKOLAKI fashion show HERE! 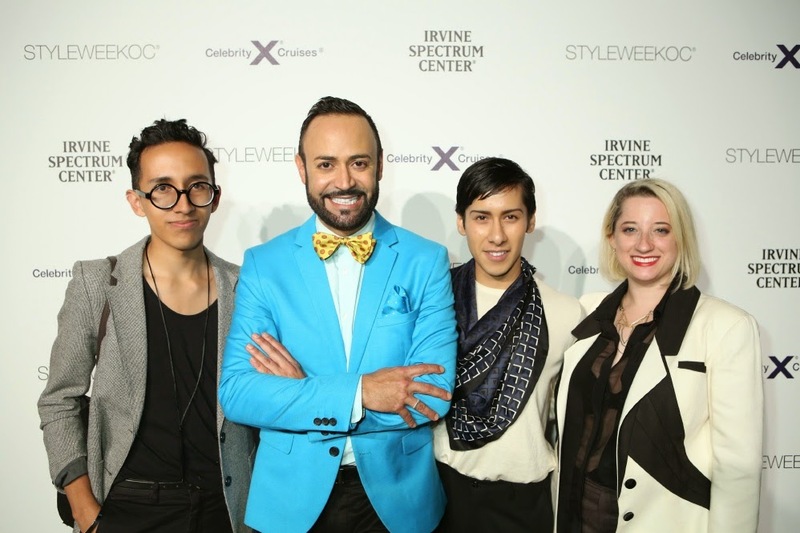 0 Response to "NICK APPEARANCES.....STYLE WEEK OC 2014 Finale Night RECAP!"